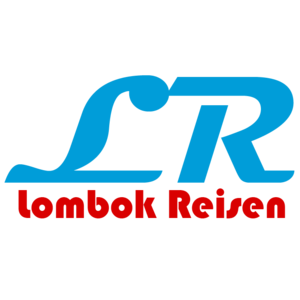 Desert Point Lombok – For lovers of skiing / surfing, one of the most famous desert point areas in Indonesia is Bangko-Bangko, located in West Lombok, Sekotong area, specifically on the southwest coast of Lombok. If you traveled to Bali, it is worth to a visit this popular tourist spot. By using ferry board to the Lembar port, from Lembar port you can rent car that may be encountered in the Lembar area. The journey into the desert point will need 2 hours from the Lembar. In addition, you can rent directly ship from Bali, if from Kuta Bali, it can spent 3 hours just to Bangko-Bangko. Road infrastructure from Labuan Poh (Western Sekotong) to the Desert Point Lombok Bangko-Bangko less good, and there is little rocky in the streets, so you will spend a lot of time and money to go there. But it doesn’t matter, when surfing season have came, many world-class surfers willing to stay for a longer period in a simple hut on the beach in order to meet fierce waves. Currently, the desert point is the most favorite destinations in the world and occupies sixth place in the ranking of “10 beach destinations for surf with the worst waves,” a version of the International Surf Association. So it’s not surprising that later there are courage competitions in this place. Desert Point Lombok Bangko-Bangko have typical waves that is left wave, in which when you surf, there is thing called “left-hand” when waves only can slid to the left side. Desert point is also often referred to as the beach with the best waves on the planet. You can find a concave wall in the form of a wave for 10 seconds, or even up to 20 seconds with the longest walls up to 300 meters, it is an important moment that is waited for all surfers. The best time if you want to visit the desert is a point within the month of May to October, the month when the waves is rising or falling tide. Sometimes, it can be for weeks without waves, then when the waves came, your wait has paid off. If you are interested to surf in Desert Point Lombok, make sure your health condition is fit enough / quite ready for long trips with heavy terrain travel. Also beware of the possibility of malaria. And most importantly, you have to wait patiently until the waves come better. In addition to offer beauty waves to surf, the conditions of the beaches waves vary from flat, undulating hills with natural rocks that strong and its white sandy adorn beaches in the west area. Bangko-Bangko also offers the beauty of marine organisms, so that you can also do diving, snorkeling, other activities, or just enjoy with a soak in the beach. Don’t forget if you travel to Lombok, visit desert point lombok, Bangko – bangko because this place will offer you unforgettable experience. That is all about Desert Point Lombok.